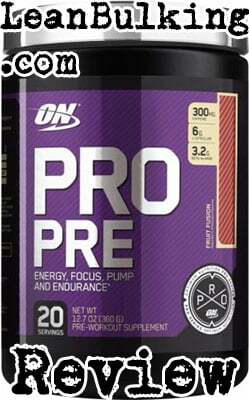 Pro Pre is a pre-workout supplement made by Optimum Nutrition. It costs $32.99 for 20 servings, and comes in 3 flavors - Fruit Fusion, Grape Candy and Strawberry Burst. 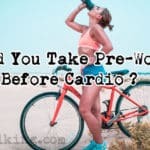 From first glance, Pro Pre looks like a great product; it contains many key pre-workout ingredients with none of them being harmful in any studies. 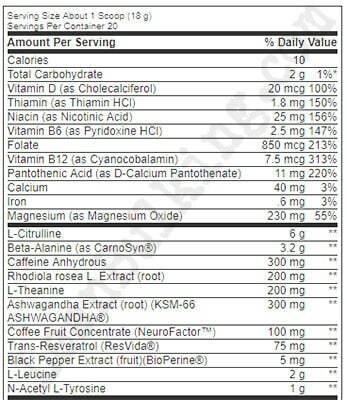 So we'll be looking at whether these nutrients have been added in what we believe to be optimal dosages below. But first, we'll tell you more about the company behind it. 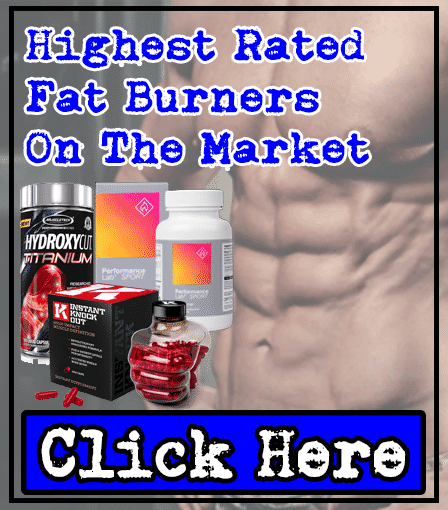 Let's be honest, if you know about supplements, then you'll know about Optimum Nutrition; this is one of the biggest brands in the business. Pro Pre contains 12 main ingredients, which we consider to be too many for 1 supplement; after looking at most products, we believe that those containing less nutrients are more likely to be optimally dosed. However, these worries are cleared-up after seeing that Optimum Nutrition have added an optimal dosage of L-Citrulline and Beta-Alanine. The only slight worry we have, is that there is quite a large 300mg dosage of Caffeine Anhydrous packed in 1 serving; this is good for those very tolerant to Caffeine, but we would be a risk of jittery side effects personally. Anyway, we'll expand on this and more as we take you through the most important ingredients in Pro Pre. By the end of this review, you'll have a good idea of how safe and effective this pre-workout really is. For the purposes of a pre-workout, we believe that Optimum Nutrition have added more than enough Vitamin D3 in Pro Pre (20mch/800IU). In fact, we're actually really happy that they've added Vitamin D3 here, as it's potentially our favorite nutrient available; it's proven to enhance your general health, immune system and lower fatigue too. However, we would still recommend that you consume a Vitamin D3 supplement alongside this dosage. In total, we personally believe that 2,500IU per day is the best to deliver the benefits we've mentioned (you'll need more if you want to raise your testosterone levels though). But as we've mentioned, for the purposes of a pre-workout, 800IU is more than enough in Pro Pre. L-Citrulline is another of our favorite ingredients found in Pro Pre; it's shown to raise your nitric oxide levels, which increases your blood flow and improves your muscle pumps in the gym - helping you look and feel great. Not only that, as there's more blood and oxygen entering your muscles, your muscular fatigue is reduced too, helping you stay fresh. There's nothing bad here, as Optimum Nutrition has added an optimal 6,000mg of L-Citrulline here. 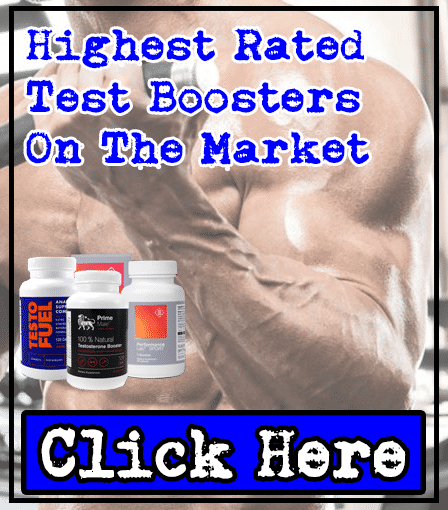 If we were to be overly critical, we we would have preferred Citrulline Malate (this is simply L-Citrulline & Malic Acid bound together, which can also raise your ATP levels similarly to Creatine Monohydrate). However, there's nothing wrong with L-Citrulline, and Pro Pre still gets full marks here. Great job by Optimum Nutrition. We have mixed opinions about Beta-Alanine; it's beneficial, as it's shown to improve your muscular endurance. However, the bad news is that Beta-Alanine has also caused itchy & tingly skin in the past too. Personally, we find this side effect distracting when trying to focus on making gains in the gym, but don't find it as bad. For this reason, we're leaving this to personal preference, but we'll repeat that Beta-Alanine is beneficial. Our honest opinion would be that we prefer Creatine Monohydrate, as it offers the same benefit without causing any side effects. 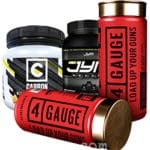 As we mentioned near the start of this review, we believe that Optimum Nutrition has added a big dosage of Caffeine Anhydrous in Pro Pre; personally, we would be worried about suffering from jittery side effects, but this depends on your tolerance to stimulants. However, if you are more tolerant to Caffeine than us, then it'll be sure to give you that 'kick' you need to take improve your training session. Ultimately, we prefer pre-workouts containing under 200mg; we believe that this won't put anyone at risk from jitters or energy crashes. Rhodiola Rosea is an interesting ingredient, as it's known for being able to improve your focus while reducing fatigue. For this reason, we also consider Rhodiola Rosea to be a very useful addition to any pre-workout supplement. Personally, the dosage of L-Theanine is what disappoints us the most in Pro pre. This is because when you consume higher amounts of L-Theanine than Caffeine, they work in synergy to form a 'smart-caffeine' combo, which enhances the effects of Caffeine while keeping you safe from jittery side effects. However, as Pro Pre contains more Caffeine Anhydrous than L-Theanine, we're not sure whether you'll experience this benefit. Ashwagandha is an ayurvedic herb (used in traditional Indian medicine), that's been used for decades. It's believed to raise your power output in the gym, making it a useful addition to pre-workout supplements. For this reason, we consider Ashwagandha to be a good 'bonus' in Pro Pre here. This is a patented product using the whole fruit of the coffee bean. It's marketed as being a cognitive enhancer that's able to raise your neuroprotein levels. However, we haven't had any experience with this ingredient, so we can't say for sure whether it's going to be effective. Personally, we believe that the Rhodiola Rosea will be more effective than Coffee Fruit Concentrate - but this is simply our honest opinion. In case you're wondering what this is, Resveratrol is a compound found in red wine that gained attention for the belief that it can prolong your life. However, while we don't believe Resveratrol to be a 'fountain of youth' ingredient, there are enough studies to suggest that Resveratrol can improve the quality of your life. Ultimately, we don't really see the need for Resveratrol to be here. But as Pro Pre is packed with useful ingredients, it's not an issue either. Yes, this is the same stuff that you sprinkle on your food to enhance its taste. However, it's more useful than you think; Black Pepper Extract is proven to raise the absorption rate of nutrients that it's digested alongside. For this reason, while it's not a key addition to any supplement, it certainly makes a useful 'bonus' to have in Pro Pre. 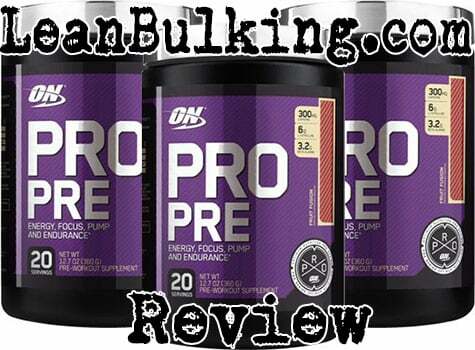 We're really impressed that Optimum Nutrition has covered all bases with Pro Pre. L-Leucine is the 'main' branched chain amino acid that's believed to promote muscle growth. Again, this is more of a 'bonus' here, as we prefer consuming all essential amino acids naturally through our diet. However, it's certainly a great bonus ingredient in Pro Pre. The last ingredient in Pro Pre, L-Tyrosine is known for being a 'brain booster' that's able to improve your cognition. 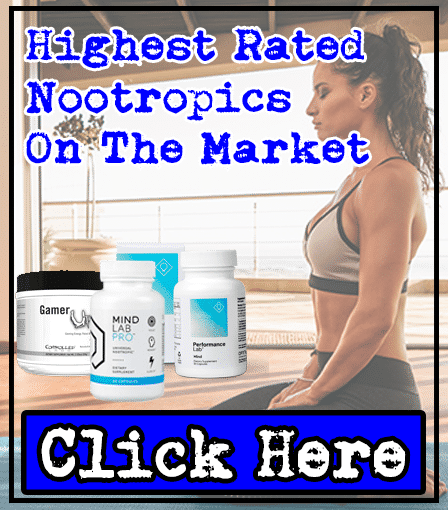 As we don't think it offers any benefits such as improved strength or endurance, we believe that L-Tyrosine is better suited to nootropic supplements - but again, this is simply our honest opinion. Saying that, L-Tyrosine hasn't shown to cause any side effects, so there's nothing bad about having this in Pro Pre either. So good job by Optimum Nutrition here. The good news is that Pro Pre isn't likely to cause any harmful side effects. For us personally, the 300mg Caffeine per serving might put us at risk of jittery side effects. However, as we've mentioned, if you're tolerant to Caffeine and consume coffee on a regular, daily basis, this should be fine for you. Another thing we'll mention, is that Beta-Alanine is known for potentially causing itchy and tingly skin (the official name of this side effect is 'paresthesia'). Optimum Nutrition has definitely raised their game with this pre-workout; we believe that it's one of the best products on the market, and we'll strongly consider adding it to our 'top 3 pre-workouts' rankings soon. For the most part, Pro Pre contains optimal dosages of very beneficial ingredients. As we've mentioned, unless your sensitive to Caffeine like us, you'll be safe from side effects and benefit from energy boosts in the gym. The only thing that we wish Optimum Nutrition added to Pro Pre, is Creatine Monohydrate; if Pro Pre contained Creatine Monohydrate instead of Beta-Alanine, we would definitely consider this to be in the top 3 best pre-workouts we've ever seen. Pro Pre is one of the best pre-workouts that has released in the past few years. 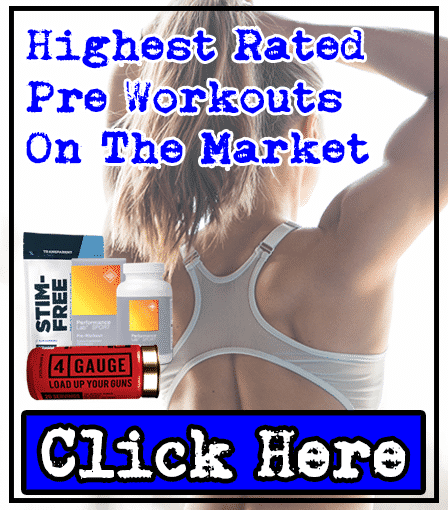 As always we’ll be keeping a close eye on the market, and the only thing slightly letting it down is the absence of Creatine Monohydrate – so it can’t compete with the highest rated pre-workouts available. But overall, Optimum Nutrition has done very well with Pro Pre. See The Best Pre-Workouts This Year! Show Me The Full List!